How to Record YouTube Audio on Mac, Windows, Android and iPhone? There are numerous and various sources can be found on YouTube. However, there are times we need to record or extract the audio from a YouTube video for legal use. To guide our users to record YouTube audio easily, here we list following solutions to do YouTube audio recording on different devices, on Mac, on Windows PC, on Android or on iPhone. Though more and more users choose to record YouTube audio by applying a YouTube to Audio Converter, there are still some users using audio recorder software to do this, and most of them are Audacity users. Audacity is a free audio software to record and edit audios on different operations systems, including Windows, MacOS, Linux. Audactiy records audio through a microphone or mixer, it can export the recordings as different formats, also allows users to cut, copy, paste and delete the audio file. Since Audacity is available for both Mac and Windows PC users, here we introduce the steps to use audacity in following 2 parts. To record the audio, besides Audacity, we need to make sure we have appropriate device or software to input and output the audio. In fact, recording with devices is relatively complicate and there will be noise from external environment, but recording with a software to create virtual audio device can be much easier, which is also the way we are going to share with you in this post. To record YouTube audio with Audacity on Mac, we need to download and install an extra software named Soundflower, it is an open source designed to create virtual audio output device that can also act as an input. It enables an application to access the soundcard or interact with another application through the soundcard. That’s to say, with Soundflower, you don’t have to connect a Mic input or a speaker output to finish the recording, you need nothings at all. 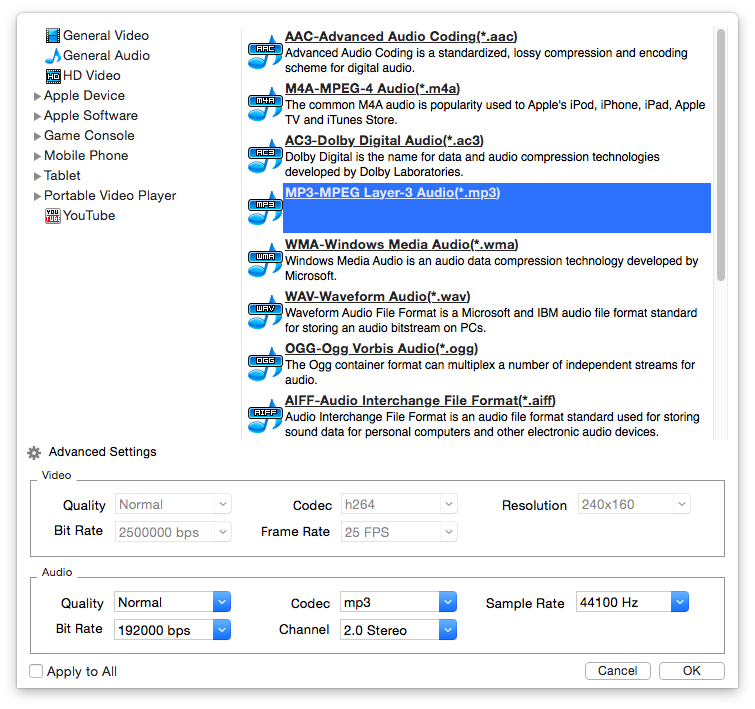 Now, let's record YouTube audio with Audacity on Mac! Same as the ways to record YouTube audio with Audacity on Mac, here we use auxiliary software that similar to Mac Soundflower---Voicemeeter. It is the program creating virtual audio output device that can also act as an input. Now, let's record YouTube audio with Audacity on Windows PC! Now we will use YouTube to Audio Converter, the easiest way to record YouTube audio. For Mac users, Cisdem Video Converter is highly recommended. It is known to many mac users as a powerful video tool to edit, convert and download videos. Not limited to YouTube videos, Cisdem also allows users to get audio from other websites, such as Dailymotion, Vimeo, Flickr, Veoh, etc. It processes videos very fast and can preserve the original quality in both video and audio. 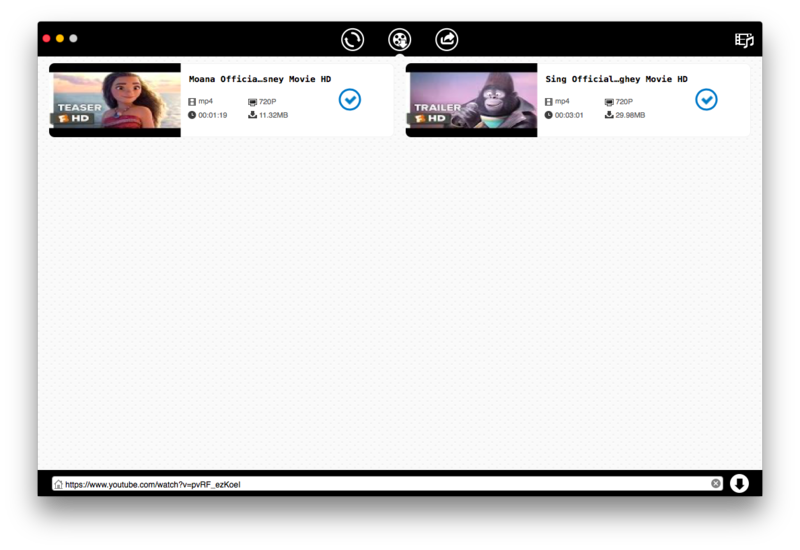 Step 5Drag and drop the YouTube video into interface, choose an audio output. The program we use to record YouTube audio on Windows PC is Any Audio Converter. Any Audio Converter is a free Windows program to convert video and audio files. Users can extract audios from CDs and different videos, can download YouTube and other online media files to different formats. For users don’t need to record YouTube audio very often, or they can tolerate audio quality loss, online free tool is worth a try. listentoyoutube is an online free platform helping users to converting YouTube videos into MP3 format. Comparing with other online free YouTube to MP3 converters, this one brings high successful rate. Generally speaking, there are 3 ways to record YouTube audio on Android phone. If you want to, you can do the recording on a Mac or Windows PC first, then transfer the audio files into your Android phone. This is particularly useful when you need to record lots of YouTube audio and play on Android. Many Android phones come with a built-in sound or audio app, since the necessary instruments to input (microphone) and output (speaker) the audio are available on all mobile phones. For Android users who don't have a built-in sound or audio app, they will need to download and install such an application in Google Play. The greatest disadvantage of using this method is the time gap, since you need to play the media first, then go to audio recorder app and start recording. The fact is that there are quite few Android app to convert YouTube to MP3, and for the sake of safety, we recommend using flvto.biz. You can record the audio on a mac using online or professional YouTube to MP3 converters first, then sync these audio files to iPhone by using its own apps, such as iTunes or Airdrop. To learn how to sync between a Mac and an iPhone, you can go to Apple official website for details. There is an audio recorder called Voice Memo on iPhone, users can record YouTube audio with this app directly. Again, the greatest disadvantage of using this method is the time gap, since you need to play the media first, then go to audio recorder app and start recording. And for the same reason of safety, we here recommend using Documents by Readdle to record YouTube to MP3 converter. After trying different way to record YouTube audio on Mac, on Windows PC, or on a Android phone/iPhone, we conclude that the best way to record or capture YouTube audio is using a professional YouTube to MP3 converter, which can be done easily and help to original audio quality. Burn videos to DVD, DVD folder or ISO files. Totally free Mac video and audio player. How to Convert YouTube to MP3 on Mac with High Quality? It is a guide on how to convert YouTube to MP3 for macOS Sierra, I would give you review on 3 free online YouTube to MP3 converter tools, and teach you how to download and convert YouTube to MP3 with the simplest steps. In this article, we would let you know about several methods by which you can download music from YouTube to iPhone in MP3 format. How do I block YouTube on my Mac? How do I temporarily block YouTube channels for free or is there a way to block YouTube app on Mac? Lots of users try to block YouTube videos on Mac, but they don’t know how to.This article will introduce you how to block YouTube website, YouTube app, YouTube channels and YouTube video ads on Mac.